Phase One of Vancouver Whitecaps’ preseason camp is done and dusted. 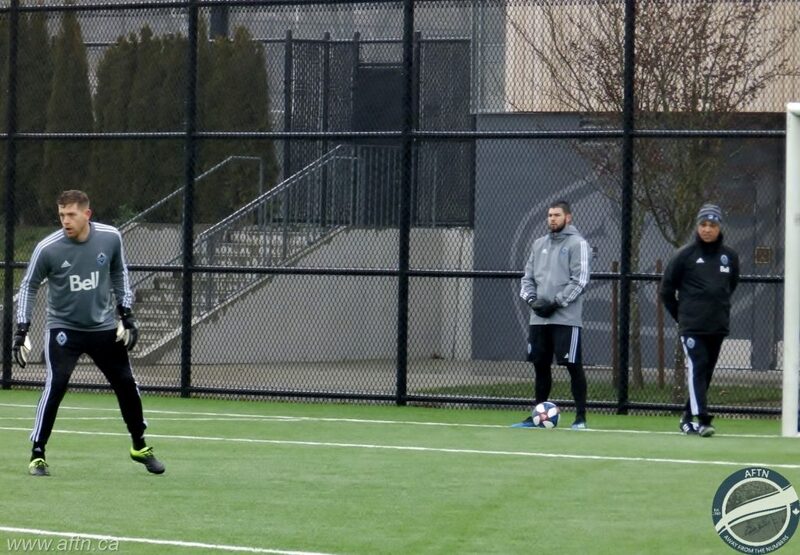 Nine tough days of training up at UBC saw some players come in, some players head out, and an intensity and freshness on the pitch that bodes well for the season ahead. Next stop – Hawaii. There were five new additions to the squad since training camp got underway on January 21st till they headed off to sunnier climes on Thursday – Jon Erice, Lass Bangoura, Lucas Venuto, Scott Sutter, and Hwang In-beom. Erice, Bangoura, and Sutter made it to Vancouver. Venuto is expected to join up with the squad in Hawaii. And Dos Santos joked that Hwang may be a Valentine’s Day gift arriving on February 14th. Erice has a couple of training sessions under his belt and looks quality, spraying the ball all over the pitch with an accuracy not seen since Pedro Morales’ early days. And talking of early days, it’s still very much that of course for Erice. We haven’t seen him in match action yet. Bangoura and Sutter only arrived on Tuesday evening and spent their first day just doing light laps around the pitch. Venuto looks to be a good pick up from his videos, and as we discussed over the weekend, the highly sought after Hwang looks to be a real prospect and talent. A great pick up by the ‘Caps. There’s also been two departures from the group – one official, one about to be confirmed. On the first day of camp Marc Dos Santos told reporters that Anthony Blondell was going to “hate” him because he was going to push him so hard to be what he could be. Less than a week later he was on a plane to Chile on a loan deal! Meanwhile, forgotten man Efrain Juarez hasn’t been seen around the training facility since that first day, after being asked to stay away while the club finalized his departure from the team. That official announcement is expected soon. Reports in Mexico had him heading to Cruz Azul. We’ve had our first look at the goalkeeping battle, with four goalies working hard in the camp – Zac MacMath, Maxime Crepeau, Sean Melvin, and Development Squad keeper Thomas Hasal. They’ve all performed well, and right now it’s far too close to call who will be that starting keeper come First Kick. 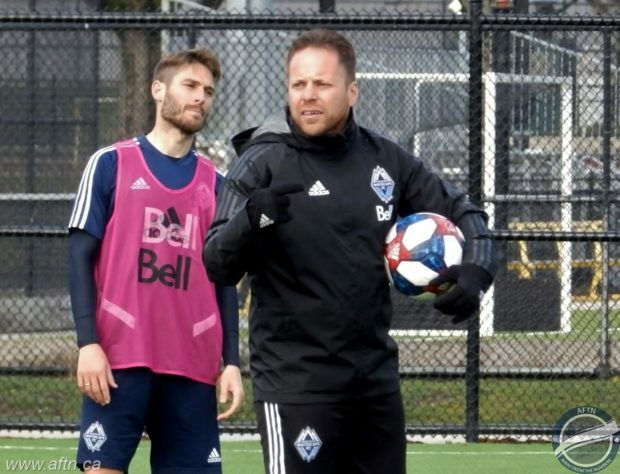 MacMath may still have the edge, but you can’t discount goalkeeping coach Youssef Dahha’s previous experience and knowledge of working with Crepeau. The training camp has also seen a number of Academy and Development Squad players fully integrated into the sessions, and they’ve not looked out of place. It’s part of Dos Santos’ overall vision for the club, telling reporters “I’m focusing a lot of investing time with the academy players. We cant be a club that talks about vertical integration and then we don’t live it.”. A number of the academy prospects will be making trip to Hawaii. So all in all, a very positive, encouraging, and enjoyable first 11 days back in the fold. Last preseason, we decided to look at the ‘Caps roster build a little bit differently than previous years. Breaking down what we thought the first choice starting XI looked like at various snapshots of the preseason up to First Kick. Configuring out the ‘Caps. I liked it, so we’re doing it again! We took our first look for 2019 just over a week ago. 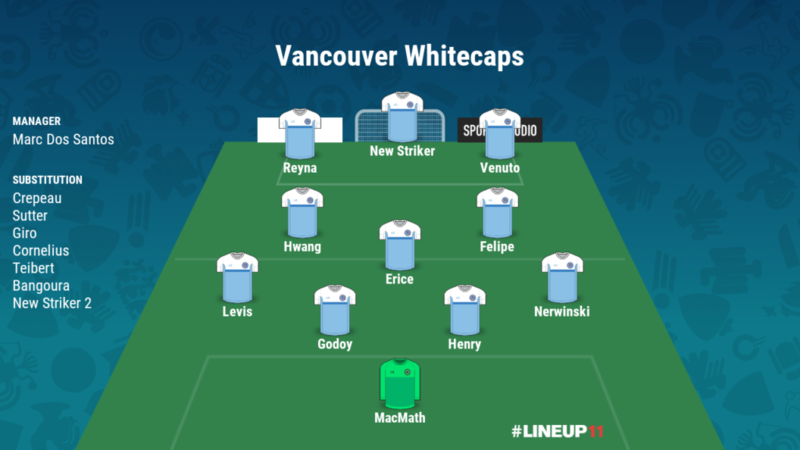 Our next snapshot was going to be after the Hawaii part of the training camp wrapped up next month, but things have been so busy that we need to have another look at that ideal first choice starting XI now, because it’s going to be all change! Dos Santos told reporters at Wednesday’s training that “there’s still six to seven players that are going to arrive in the roster that are not here yet today”. One of those is already announced signing, 22-year-old midfielder, and Young Designated Player, Hwang In-beom. Another is 21-year-old Tunisian center back Jasser Khmiri, who confirmed his move on social media at the weekend and was announced by the ‘Caps this morning. Argentine centre back Erick Godoy is another reportedly heading to Vancouver by South America media a couple of days ago, and Dos Santos told Sportsnet Radio on Thursday that two defenders were about to be imminently announced. So if that’s around half of the further additions, then who are the rest? Well you can be sure that two strikers are amongst them. Dos Santos has confirmed that deals are close to bringing two new strikers to Vancouver. At least one of them you have to expect to be a Designated Player, or at least hope that it’s that quality. The other positions would likely be a left winger, both Venuto and Bangoura can play there but are really right wingers, and probably another centre back (possibly draft pick Brendan McDonough) or another defensive midfielder (Brazilian Matheus Queiroz is in camp as a trialist). With all the additions and subtractions that are currently all announced, and those likely on the way, here’s how we feel things look to be shaping up in terms of a first choice starting XI, as of the players currently signed, known to be heading here, and nameless but positionally known to be coming. That’s four changes from that first draft of a line-up when camp got underway. That was always going to be the case. It’s based on his preferred 4-3-3 formation, which has made it difficult to place all the players we see as starters in the team at the same time. As a result, some are not ideal – Reyna as a left winger being a prime example. He’ll certainly be a starter. Venuto and Felipe are certainly not guaranteed starting spots, and in the defensive Levis has a battle with Giro, while the new addition of Scott Sutter will challenge Nerwinski. The likelihood is that this team will be a mix, with some of the younger players integrated in and out, and some positions across the midfield and up front being very fluid. How much of a set starting line-up will we actually see? Dos Santos said he hopes to have all his signings in place and in camp by the time they head off down to LA for Phase Four of the camp mid February. It’s certainly going to be interesting to see how things are shaping up by that stage.